I’ve always been a fan of Greek wines. They’re lean, racy, elegant and complex, all at the same time. Greeks still possess a vigorously old-world wine-making mindset and I, for one, am thankful. You won’t find any fruit bombs here, but you’ll find wines that can compete with Bordeaux’s best blends or nuanced whites from Sancerre, France. 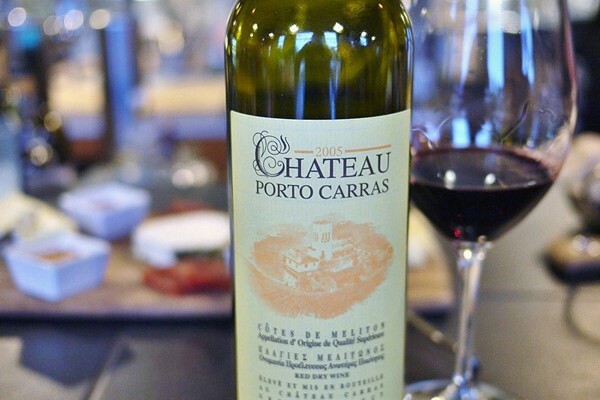 Here are a few highlights from Domaine Porto Carras, showcasing Greece’s largest vineyards with Greece’s most gorgeous view (imported by Old World Vines). This Greek grape was almost extinct until the late 1960’s saw its return in Domain Carras. Malagouzia is highly aromatic and creates a soft, elegant wine. It reminds me of the perfumed nose of Italy’s Malvasia Bianca with the body of a full, rounded Chardonnay or Viognier. Refreshing and flavorful with hints of flower blossoms, mint and peach. Limnio is an ancient varietal from the island of Lemnos that has been mentioned in the works of Aristotle. It’s also been said to be referenced in the works of Homer and Plato. This would make it the oldest recorded varietal; drinking Limnio is drinking history! Limnio, being an elegant medium-bodied red wine with notes of blackberry and pepper with delicate tannins, goes well with a wide range of red meats, rich sauces and grilled foods. This classic-style Bordeaux blend adds Limnio to Cabernet Sauvignon, Cabernet Franc and Merlot for a stellar effect. Deep color, complex aromas of dark fruits, vanilla and tobacco gives way to a lean mouthfeel and integrated tannins and leaves you with a long, rich finish. An excellent wine for any Bordeaux or Cabernet Sauvignon lover! If you’re on California’s central coast, try the Greek country board at Meze Wine Bar & Bistro in San Luis Obispo along with one of their Greek wines.